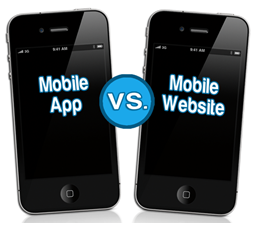 Mobile app or Mobile Website, which is a better investment: The answer to that depends on knowing the needs of the client and their personal goals. Here we talk about the benefits and limitations of both Mobile Apps and Mobile Websites, so it can provide a clearer picture on what to choose. Following are the advantages and constraints of both chalking out a clear difference between the two. 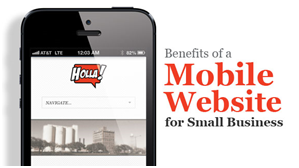 Wider audience: Mobile friendly website users have a wider audience With accessibility to Google search engines. Flexible with instant Updates: With a simple edit button, updates on the content can be made instantly. The beauty is that they are immediately visible making the entire handling flexible and efficient. Longer lifecycle: Mobile websites are always available to users and don’t have a limited shelf life. Convertibility: A mobile website can provide instant content and be developed as database-driven web applications similar to a native app. Saves Time and Money: Mobile website development is both time and cost effective and is the best way to have an online presence on all platforms. Interactivity and usage: A mobile app makes sense when the client wants a gaming app in mind or wants a utility app for personal use on a regular basis. This entirely depends on the nature of the app and the purpose it fulfills. Mostly the purpose is an increase in engagement and building a loyal customer base. Data based Calculations: Apps are super helpful when you need to work with complex calculations or to look up charts and reports. An app is the best option for such purposes. Functions without internet: With an app internet connection is not a problem, once downloaded on your phone it functions without a wireless connection. 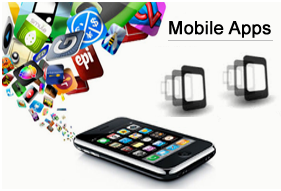 Provides fast Performance: Once mobile apps are downloaded they provide a fast and smooth experience with ease and a more engaged personal experience. All in all since the functions for both are so varied and offer results of a different nature, an outright comparison on what serves to be better is pretty useless without knowing one’s goals. Both mobile websites and mobile apps face certain limitations but what is important is to truly understand the goal towards which the client is interested in.